Public health insurance exchanges removed nearly 10 million American adults from the ranks of the uninsured. However, the sites were plagued with problems -- and the second year of sign-ups may bring additional headaches. That leads some to suggest that private exchanges may have a brighter future if they get the technology right. 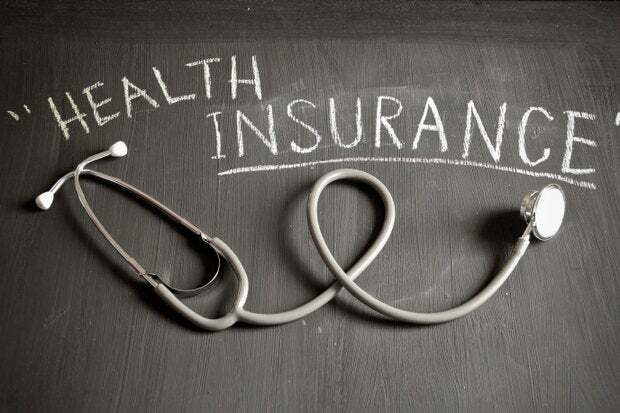 From October 2013 to March 2014, according to The Commonwealth Fund, about 14 million adults ages 19 to 64 either signed up for private insurance or enrolled in Medicaid. All told, that reduced the number of uninsured American adults by 9.5 million. Roughly 80 percent of those with new coverage, the Fund report says, "are optimistic that it will improve their ability to get the care they need." Concerns exist, though, about the automatic renewal process, which in addition to not being intuitive could leave consumers unaware of less expensive options available to them. Plus, there was the failed Healthcare.gov launch – which appeared to have been remedied until this summer's Healthcare.gov breach – as well as the health insurance exchange data inconsistencies reported earlier this year and the very public (and very messy) Oregon lawsuit against Oracle, architect of the failed Cover Oregon site. Given the growing pains of the public exchanges, some say, private health insurance exchanges may be the answer. Technology is a bit part of the reason why. More than 3 million Americans enrolled through private health insurance exchanges for 2014, according to a recent Accenture report, Insight Driven Health: Growing Pains for Private Health Insurance Exchanges. Those using private exchanges will outnumber those using public exchanges by 2017, if not sooner. Demographics help explain this "hypergrowth," says Richard Birhanzel, managing director of Accenture Health Administration Services; roughly 170 million Americans obtain health insurance through their employers. In addition, what was a "new thing" as recently as two years ago is "part of an accepted distribution channel" that health benefits consultancies and carriers now support, he adds. Finally, credit pent-up demand from consumers to purchase insurance the same way they buy everything else. "Employers continue to be challenged by affordability of health insurance," Birhanzel says, "and employees are experiencing retail-like shopping in every aspect of their lives." That experience, coupled with more diverse insurance offerings and decision support for choosing among those offerings, explains the exchanges' appeal to consumers, Accenture says. Employers, meanwhile, benefit from a reduced administrative burden, access to standardized insurance products and better control over costs. More options mean more complexity, of course – but that's the value proposition for the private health insurance exchange, Accenture says. The exchanges that want to get it right have much to do, particularly when it comes to data – exception management, reconciliation, data exchange, integration with employer payroll systems, and real-time calculations of an employee's pre- and post-tax earnings. "Mature exchanges," meanwhile, will consolidate bills across all carriers (health, dental, vision, life and even pet insurance) and reconcile the balance with what employees pay through the private health insurance exchange. This is no doubt a challenge, but Birhanzel says it will be a differentiator – especially as firms allocate a set amount for employees to spend and not all of that need be put toward health insurance. "People, generally speaking, in an employer-sponsored space haven't had these kinds of choices before. They need to have tools to make as much of an informed decision as possible." In the end, the private health exchanges that succeed will be the ones able to scale, especially during open enrollment periods (unlike the inaugural Healthcare.gov launch). "Scale" and "size" may not necessarily correlate, either – small, focused exchanges, such as Washington, D.C.'s Industree Exchange for bars and restaurants, may well better serve their customers than larger exchanges trying to be everything to everyone. "The private health insurance exchanges that make the right moves in the next 18-24 months will be the ones who are better positioned to achieve sustainable growth as this robust market matures," the Accenture report concludes. "Getting the front end right will draw in customers, and getting the back end right will retain them."